The best way to get to know a community is by scheduling a tour. 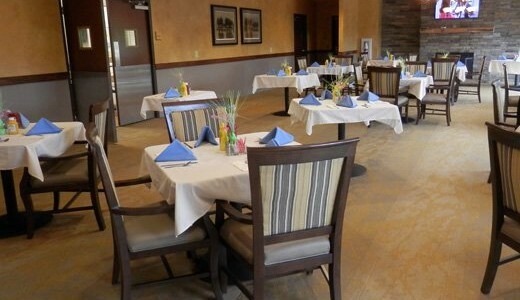 See the facilities, meet the staff and residents, and get a feel first hand what it's like to live at William Penn Care Center Assisted Living. Let us help when help can’t be fully provided at home, but skilled care isn’t needed. The daily responsibilities can be left to trained caregivers, and quality time can be spent between the residents and their family members. Family members can know their loved one is safe and can rest easy knowing they are being cared for. We assist each of our residents in achieving the highest degree of independence by providing excellent care in a healthy, safe, and comfortable environment. Our open floor plan suites offer you a spacious sleeping and living area, large en suite bathroom, and kitchenette, along with ample closet and storage spaces. You will be able to have the independence and the satisfaction of living in your own space, while having the comfort of supportive services available when needed. You can give your suite the personal touch of having your favorite furnishings and home décor. Daily activities and events will present numerous opportunities for you to socialize and enjoy the hobbies you love. Enjoy a matinee and freshly popped popcorn in the theater, catch a game of bingo in our large activities room, take an exercise class in the gym, or have your hair done at the beauty salon.